Discussion is a form of communication and interaction which allows for presenting and exchanging opinions. What should be kept in mind is that a discussion basically deals with one’s opinion, and not with facts. Of course, opinions may be based upon facts and evidences, but as a young author, you will need to discern them very clearly. 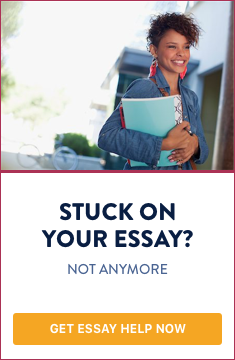 In short, writing a discussion essay involves presenting various opinions on the same subject, but with putting stress on one of them considering it as the most appropriate or proved. Writing a discussion essay involves presenting various opinions on the same subject, but with putting stress on one of them considering it as the most appropriate or proved. The process of writing a discussion essay includes several steps which we are outlined below. Every discussion is brought about by a given doubt, suspicion, or a feeling of being in trouble. In brief, you have to find the solution to a problem. Make it clear what this problem means. Let’s say that the topic is laissez-faire economy. Then you need to define what laissez-faire economy is, what its consequences are, how it is received by the people today, etc. This requires reading, reading, and again reading. Make yourself acquainted with the principle of laissez-faire - its history, its representatives, as well as some cases. You have to search for more general information first, and afterwards narrow it down. This depends on the topic. At any rate, a topic like “laissez-faire economy” is too abstract for discussion. It would be good to oppose it, for example, to socialism. That means you should be familiar with the major theorists who argue for or against this principle in economy. While reading, carefully write down your notes regarding the authors. A question emerges when we speak about quotes. Which quotes to select? For a short essay (a few pages) you will need no more than three or four citations. Keeping this in mind, you should choose quotes relevant to the topic. The best way is to pick up quotes which define the main principles of laissez-faire, or another doctrine. Your discussion essay must contain at least two clearly expressed points of view. Hence, you have to figure out a solution to the given problem formulated in the topic. A discussion essay must contain at least 2 clearly expressed points of view. Hence, you have to figure out a solution to the given problem formulated in the topic. The discussion essay thesis should consist of three or four sentences. For example, it may begin with: “The principle of laissez-fair as applied in economy requires complete autonomy of the economic entity, which autonomy reaches so far that the state is not able to impose any restrictions on its activity. Applied to the financial crisis of 2008, this principle proves to be ineffective because…” Put your thesis in italics or bold, in a separate paragraph. Try to represent it in the most adequate way, without distorting their thesis and conception. If you are arguing against laissez-faire, then you need to “discuss” (indirectly) your thesis with some prominent champions of the laissez-faire in economy. You introduce the topic and the context of the problem. It includes definitions or clarifications of the terms used throughout the essay. You present your own thesis right after the intro. They must be directly related to it. Present it and try to expose two or three arguments in its favor. You can also show some internal contradiction of the opponent’s theory. No one could be absolutely right, so you should take some insight or idea from the opponent. -Conclude the dicussion essay by showing perspectives for research in future. Do you need help with writing a discussion essay?